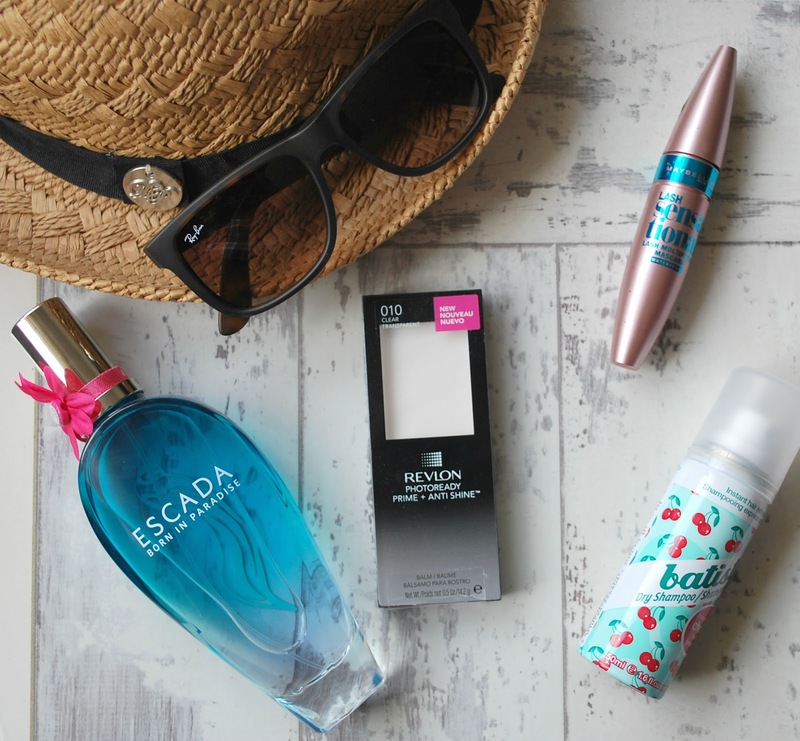 So I thought I'd do a little post this bank holiday weekend to let you know a few of my travel essentials. It may help you with your own holiday check list and my own... because I am currently busy sorting out everything ready for my holiday and I just can't wait! A good waterproof mascara - nothing is worse than mascara running on holiday especially when you're walking around through the day and fancy a little make-up on! This year I've heard great stuff about the waterproof Maybelline Sensational Lash Mascara so I thought I would give it a go! A summer fragrance - I love to take a fresh, summer scent away with me which reminds me of holidays and is light, fruity and floral which can remind me of that time whenever I use it again! I always find Escada fragrance perfect for holidays so Born in Paradise is definitely coming with me this year! Miniature EVERYTHING! - I love buying miniatures to take with me, they are perfect especially for haircare, for things like dry shampoo, hairspray and heat protectant you get the perfect amount! If I can't find a product in mini form I just get a pack of empty small bottles and take some of the product with me, like sea salt spray and oil which I don't need a lot of.